Before the Supreme Court adjourned for Holi vacation on February 23, an unprecedented crisis of sorts seemed to emerge with one three-Judge bench presided by Justice Madan B Lokur, staying the hearing of compensation matters in the land acquisition cases in all the high courts and in the Court itself till it heard the parties on the question of reference to a larger bench on the issue on March 7. However, two two-Judge benches, one presided by Justice Arun Mishra and another by Justice Adarsh Kumar Goel, pre-empted it, by making a reference to the CJI for constituting a larger bench, to consider the same issue. The CJI, in his role as the Master of the Roster, posted the matter before the five-Judge Constitution bench, which is already hearing the Aadhaar matter, on March 6. LiveLaw answers some of the questions which readers may have on this controversy. Q: So, what is the issue in the latest controversy? A: The issue is interpretation of Section 24 of the Right To Fair Compensation And Transparency In Land Acquisition, Rehabilitation and Resettlement Act, 2013. In 2014, a three-Judge bench interpreted this provision in Pune Municipal Corporation v Harakchand Misirimal Solanki, to mean that acquisition proceedings initiated under the 1894 Act five years prior to the coming into force of the 2013 Act would lapse if the acquired land was not taken possession of by the State, or compensation was not paid to the displaced farmers. This bench was presided by Justice R.M.Lodha, who has since retired, and comprised of Justices Madan B.Lokur and Kurian Joseph. The bench held in this case that if the landholder refuses to receive the compensation, then it should be deposited with a court, rather than in the Government treasury if the proceedings were not to lapse. The Arun Mishra-Adarsh Kumar Goel-Mohan M.Shantanagoudar bench, on February 8, in Indore Development Authority v Shailendra (D) Through LRS & Ors, held that this ruling in Pune Municipal Corporation was per incuriam, because it held that the landholder, cannot take advantage of his own wrong, by refusing to take the compensation under the old Act, in order to make it lapse, so that he could get the benefit of higher compensation under the 2013 Act. The question which this raised was whether a three-Judge bench was competent to declare the law laid down by another three-Judge bench per incuriam, without consideration by a larger bench. Justice Shantanagoudar disagreed with the other two Judges on this issue. But Justice Arun Mishra and Justice Goel held that since the majority did not think it was necessary to refer the issue to the larger bench, the decision in Pune Municipal Corporation was rendered per incuriam. On February 21, this issue was raised before another three-Judge bench of Justices Lokur, Kurian Joseph and Deepak Gupta, which expressed its anguish over the lack of judicial discipline by the Arun Mishra bench, in deciding not to refer it for consideration by a larger bench, following its disagreement with Pune Municipal Corporation. The Lokur bench, therefore, admonished the Arun Mishra bench and decided to consider the question of reference to a larger bench on March 7. Meanwhile, on February 22, both Justices Arun Mishra and Goel, separately referred it for consideration by a larger bench, by directing the Registry to place it before the CJI, in his administrative capacity. Q: The 1894 Land Acquisition Act did not impose a time limit for the possession of the acquired land or payment of compensation, right? Therefore, was the 2013 Act correct in introducing the deemed lapsing of acquisition in Section 24? A: The 2013 Act too does not impose a time limit for taking possession of the acquired land, or payment of compensation to the landholder. What it does under Section 24, is only to enable the landholder to derive greater benefits from the 2013 Act in terms of compensation, if the process of acquisition remained incomplete despite passage of five years after it started under the 1894 Act. The objective is that if the acquisition lapses under the 1894 Act, then the landholder would be entitled to the benefit of higher compensation under the 2013 Act, if the State begins fresh acquisition proceedings for the same land. Q: Is not the Arun Mishra bench correct in refusing the benefit of higher compensation to the landholder, if the latter refused to take the compensation under the old Act within five years, and thereby making the acquisition lapse? A: Under the 1894 Act, the State had no time limit to pay compensation to the landholder. Therefore, in many cases, the State was lethargic in giving compensation to the landholder, whose land was acquired for public purposes. But the State has an obligation under the 1894 Act to pay compensation, and deposit it in the court, if the landholder, for any reason, refused to or did not take the compensation offered. The Collector, who is authorised to pay compensation, cannot simply keep it in the treasury. If he does so, then the acquisition would be deemed as incomplete. Section 24 goes one step further and introduces a deemed fiction, saying that it would be deemed to have lapsed. The Arun Mishra bench does not seem to recognise the distinction between depositing of the compensation amount by the Collector in the court, and in the treasury, for the purpose of deciding whether the deemed fiction, envisaged under section 24 would apply. The Arun Mishra bench assumes that even if the Collector deposited the compensation amount in the treasury, the acquisition proceedings would not lapse, and therefore, to this extent, the decision in Indore Development Authority, was per incuriam. Q: Was the Arun Mishra bench correct in saying so? A: This is not the first time when a bench held a decision of a previous bench per incuriam, even if both the benches are of similar strength. Although judicial discipline would require that a three-Judge bench finding the decision of a previous three-Judge bench per incuriam, refers it for resolution by a larger bench, it was not always the case. It is, interesting to note, however, that Justice Arun Mishra himself, sitting with Justice Amitava Roy, on December 7, 2017 in the same case, thought the issue merited consideration by a larger bench. On December 7, 2017, the two Judge bench knew that the 2014 decision in Pune Municipal Corporation was rendered by a three-Judge bench. Therefore, when Justice Arun Mishra and Justice Amitava Roy held that a larger bench needed to consider this issue, they apparently believed that a bench larger than the 2014 bench alone would be competent to resolve the issue. If so, the decision of Justices Arun Mishra and Goel to declare the 2014 decision as per incuriam, despite the dissent of Justice Shantanagouder, was inexplicable. Q: Was the Lokur bench correct in requesting that the high courts and other benches of the Supreme Court refrain from hearing similar matters till it decided on the question of reference to a larger bench? A: That was equally unusual, but it was just a request, considering the seriousness of the issue involved. The Lokur bench probably thought it required a reasoned reference judgment, before placing it before the CJI, for constituting a larger bench of five Judges. As the Holi vacation intervened, it was important to keep the February 8 decision of Arun Mishra bench in abeyance, to avoid high courts and other benches of the Supreme Court citing it as a precedent. 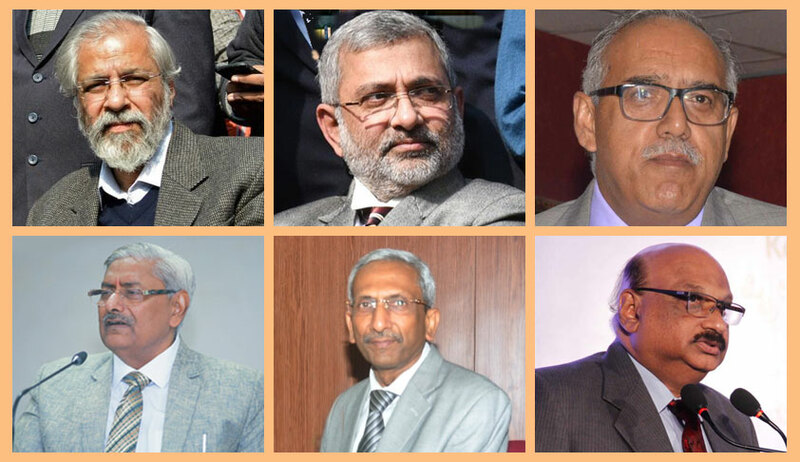 Now that the CJI has listed the matter before the five-Judge bench on March 6, the March 7 hearing before the Lokur bench becomes infructuous. Q: What are the facts in the Indore Development Authority case? A: The IDA prepared a Master Plan which came into force on March 21, 1995, and decided to acquire land for the purpose of constructing Ring Road and Link Road on the outskirts of Indore city. The ring road has been fully constructed. The land was acquired for the purpose of constructing Link Road, for joining the major road to the Ring Road. Possession of the land is with the encroachers, and not with the landowners. The compensation was deposited by the IDA with the Land Acquisition Collector. The landowners were informed to collect it but they had refused and did not receive the compensation. After the landholders filed an application under Section 24(2) of the 2013 Act, the IDA resisted it on the ground that the acquisition had been completed, and the amount had been deposited with the Land Acquisition Collector. The IDA also claimed that construction is almost complete, and it it is not completed in the remaining area, it will cause great hardship to the citizens and widening of the road was necessary for smooth flow of traffic. The Indore bench of Madhya Pradesh high court held in 2014 that proceedings had lapsed in view of the decisions of the Supreme Court in Pune Municipal Corporation and Shree Balaji Nagar Residential Association v State of Tamil Nadu (2015). It was argued before the Supreme Court on December 7 that Section 24 cannot come to the rescue of landowners who refused to accept the compensation. There was no lapse of the proceedings under the Act of 1894 in view of non-deposit under section 31, it was argued on behalf of the IDA. It could not be said that due to failure to deposit or in the case of refusal, proceedings would lapse, IDA contended. The IDA submitted that the failure to deposit the compensation amount in the Reference Court entails the consequence of payment of higher interest under section 34 of the Act, and would not result in the lapse of proceedings under the Act of 1894. In case the amount has been tendered/deposited in the separate account of the beneficiaries in the concerned Treasury as per the rules of the concerned state, that has to be treated as sufficient compliance of proviso to Section 24(2), IDA claimed. Q: Will the outcome of the case have any impact on the pending appeal before the Supreme Court, which challenges the Gujarat high court’s decision making Section 24 in applicable to companies, for whom the State acquired land? A: Yes, of course. Reliance Industries Limited, which challenged the vires of Section 24 before the Gujarat high court, succeeded when the high court read the provision down, making it inapplicable to companies. The RIL had taken possession of 95 percent of the lands acquired in Jamnagar district for its SEZ project, and only five percent had to be taken possession, where the landowners claimed the acquisition proceedings had lapsed. The high court held that RIL cannot be blamed for the Collector’s failure to take possession of the land, and therefore, it made the rigours of Section 24 inapplicable to the companies, for whom the State acquired the land, citing public purpose. The SLP against this judgment, filed by one of the landowners, is currently pending before the Arun Mishra bench and is likely to be listed on March 7.